Creative Strategy, Brand Identity, Packaging Design, Brand Communications, Typography & Illustration, Photography & Retouching, Production Management. The frozen desserts category has declined in recent years, with brands having limited relevance to modern consumers. 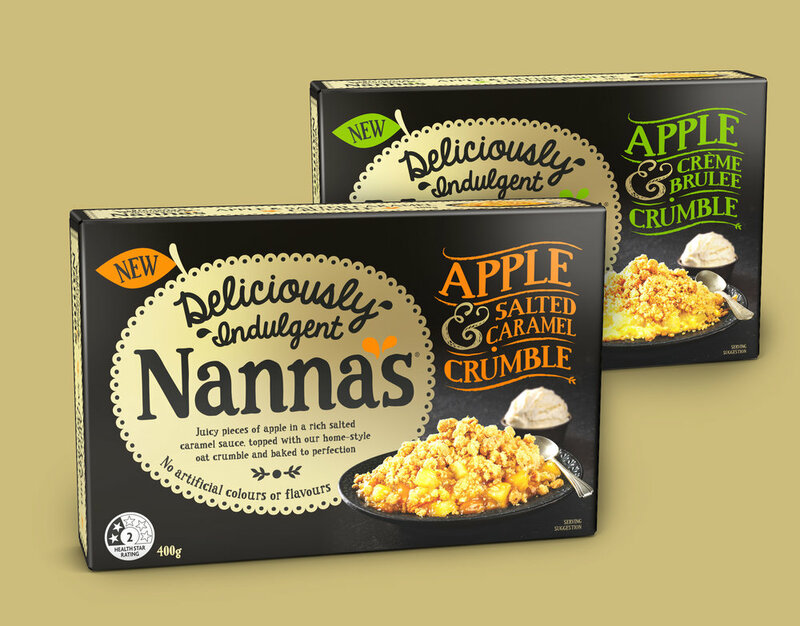 The Nanna's name held a lot of inherent warmth and meaning, but the previous traditional, beige Nanna's brand design failed to attract attention and make an emotional impact. How do we connect with a younger audience that doesn’t currently show much interest in the frozen dessert category? 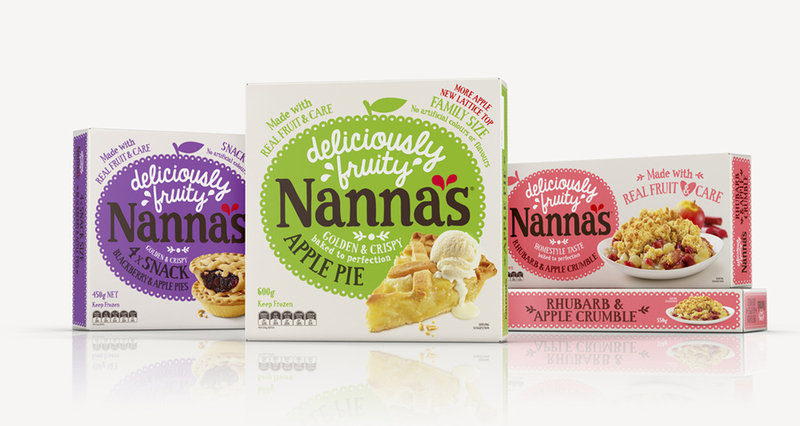 We needed to capture their attention and hearts through modern, bold design - making an emotional and nostalgic connection by referencing the wonderful memories of Nanna's everywhere. The doily graphic which forms the brand holding-shape, is a whimsical look back at the Nanna's name and delicious homestyle heritage. With bold, modern colours and style, shelf standout was maximised and endearing tone of voice added to complete a genuine emotional connection with Nanna herself.